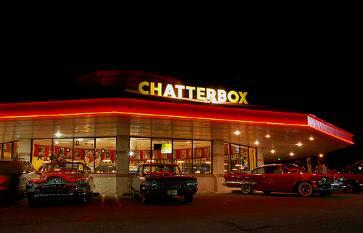 This is the Chatterbox Drive In, one of the best restaurant's around. the film American Graffiti. Plus the food and service are OUTSTANDING! 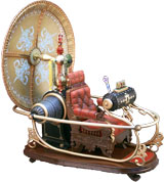 (Click just above to visit their website.) -- 'tell em' Doc sent ya! and fries while you tune in! Make Em Laugh.....Make Em laugh...Make Em Laugh!!! "Places people! Almost time for the 'Front Porch'!!" 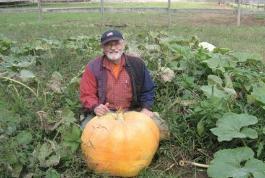 you away, nothing else will -- Enjoy! and web server/broadcasting fees. Thank you. wallahh -- sheer paradise! 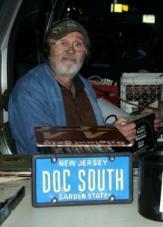 That reminds me..."
Doc South and The Front Porch "Archives"
My Book "The Magic of Selling"
goods and services. Let him share this gift with YOU. A division of Polaraco, Inc.
me...it is way too funny! ups Doc has done for them!" this amazing Chatterbox Diorama! Wow! listen to his shows,you're going to enjoy them as much as I do. --THANKS MARSHA! !